There’s not too much going on this weekend, but what little there is happens to be pretty significant. Pirelli World Challenge’s season finale takes place at Laguna Seca, which should be a good time as usual complete with beautiful supercars and a tiny hatchback fight. NASCAR heads to Richmond International Raceway, where quite a few drivers on the cusp of making it in to the Chase for the Sprint Cup will be fighting hard to get that one solid win that would put them in the running. MotoGP heads to Italy and GRC tears through the Port of Los Angeles, both of which should be a rowdy good time. 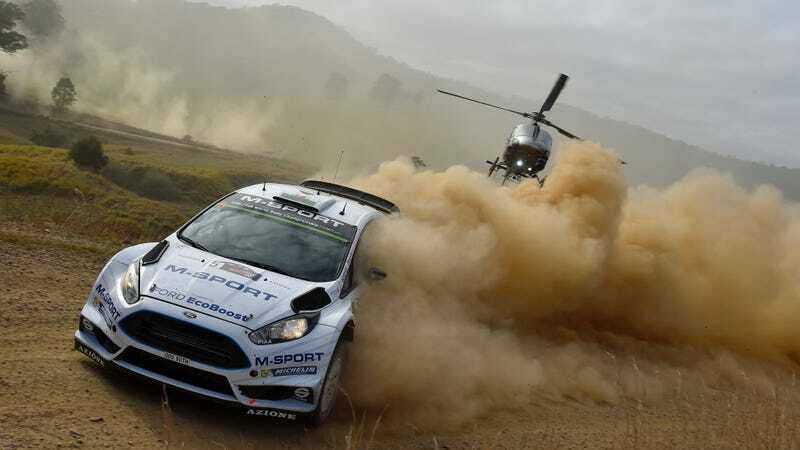 Speaking of rowdy, the World Rally Championship is in Australia, and one driver has already encountered a cow on stage. How now Code Brown? Don’t forget the Goodwood Revival Meeting stream, either, which is a near-continuous blast of vintage racing awesomeness. I’m not sure where to even put it on the schedule since it’s on for basically the whole weekend, so here’s the link. Here’s what’s on TV this weekend. Enjoy, and maybe use a bit of that downtime to go outside and enjoy the last bit of summer while you still can.